Not sure how to Replace the Air Filter? Here’s some Help! Changing your air filter is part of routine heating and air conditioning service, however learning how to perform this easy and inexpensive maintenance task yourself can save you a pretty penny in electricity as well as prevent emergency repairs. Air conditioning companies see a lot of issues that stem from neglected air filter maintenance. Air filters keep the air in your home clean and safeguard system components from the wear-and-tear dust and debris buildup can cause, ensuring longer equipment life. Clean air filters also keep things moving freely. Instead of a system struggling to move air through a dirty filter, regularly changing air filters ensures efficient operation, directly resulting in lower energy costs. On a larger scale, this lowers your carbon footprint and protects the environment. Air filters on heating and air conditioning units can usually be found right next to the system’s air handler – the somewhat noisy piece of equipment used to circulate conditioned air around your home. The air handler is often found in/near closets, as well as in basement, attic, or utility areas. It should be easy to spot the slot where the filter is inserted, which is typically behind a large grate. Some filters may be located within air vents inside the home. Though this is less common, it is possible, and in this case you may require the help of a pro to locate your filter. To keep unfiltered air from passing through the system and ductwork, as well as prevent possible electric shock, turn off the system before replacing your air filter. Most filters are disposable, requiring replacement every 1-3 months. However, some are permanent, with cleaning instructions located on the unit. Note disposable filter size and type, which should be printed on the edge of the filter. Keep a spare (or more) on hand to lessen the hassle of future replacements. Snap a photo of filter specs or jot down the size. If you can’t read/find it, the service manual for your HVAC system should indicate the proper air filter type and style. The wrong size reduces effectiveness. Pick up a suitable replacement at your local home improvement chain, including a spare (or two) for future filter changes. Not sure where your air filter is hiding? 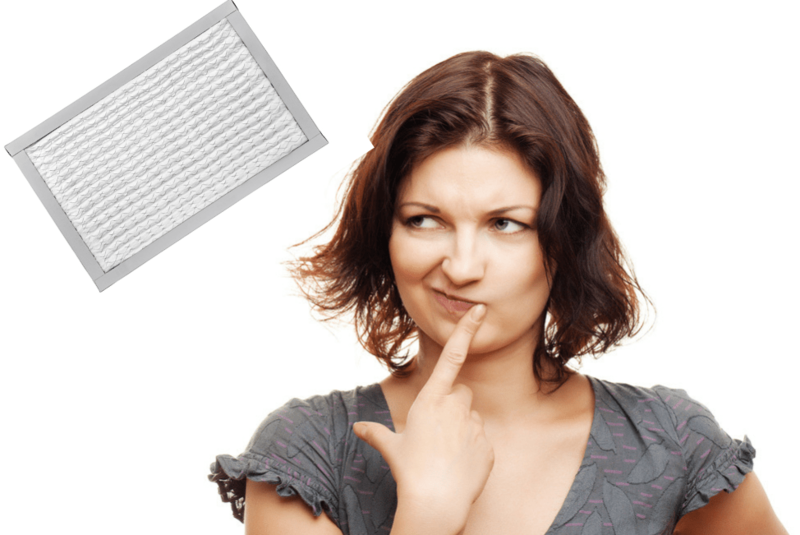 If your filter is flying under-the-radar, contact the Villanova HVAC specialists at H&H Heating & Air Conditioning today. From newbies to new homeowners and systems, our friendly pros have you covered.